If you are an enterprise that provides products or services to other businesses, these GeoWize packages will enable you to know where your potential customers are and develop strategies for reaching them. 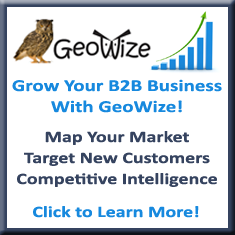 Grow your business with GeoWize! 2. 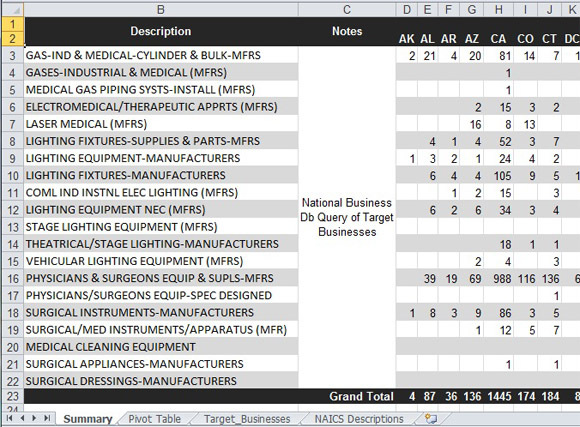 Preliminary Business Target List – What Does the Overall Market Look Like? 3. 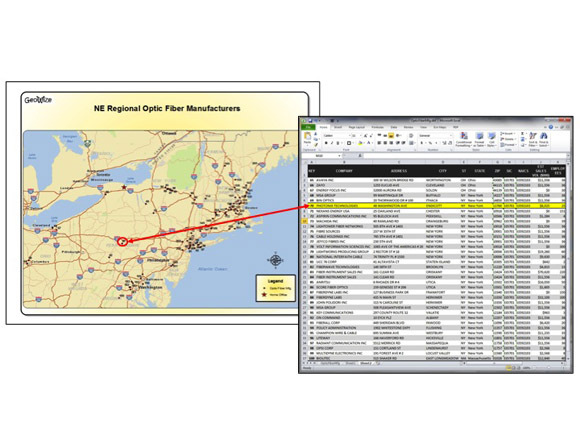 Comprehensive Data Summary and Map – Who Are They, Where Are They? 4. Growth Strategy Consultation – Understanding Your Data! 5. Actionable Target Prospect List – Connecting With Potential Customers! 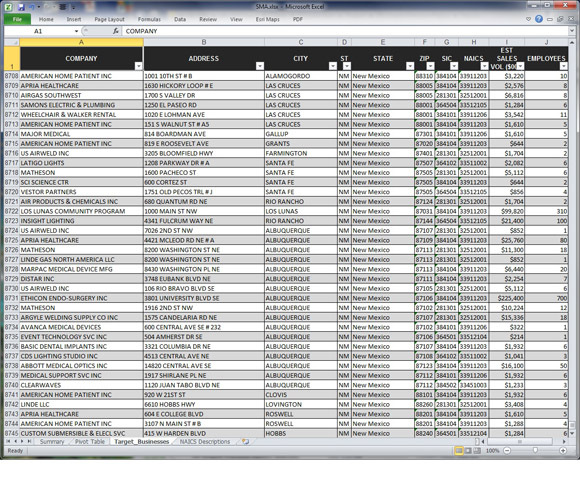 The data listing above is for the comprehensive record; mailing only and telemarketing lists can also be obtained. Additional records can also be purchased, if desired. 6. Competitive Analysis – Who Are You Up Against?